Copyright is a fundamental form of intellectual property for technology companies, protecting the tangible expression of ideas against unauthorized copying and distribution. Copyright law applies to a very broad array of works, from documents and musical recordings to computer software and web sites, and this protection can endure for one hundred years or more. But these rights are subject to several limitations, including an allowance for "fair use" of a copyrighted work. Carr & Ferrell regularly counsels its clients in this dynamic field, assisting them in the protection and enforcement of their copyrights, and in understanding the scope and limitations of the copyrights of others. Copyright law protects the expression of ideas; it does not protect the ideas expressed, or the systems, processes or methods of operation that are embodied by that expression. Accordingly, while it is generally illegal to copy software, copyright protection does not provide a monopoly on the algorithms used in the software. It may be possible to protect such ideas and methods through the patent laws, or by maintaining them as trade secrets. The exclusive rights of the copyright holder include the rights to reproduce the work, to prepare revisions of the work ("derivative works"), to distribute copies of the work, and to publicly display or perform the work — and to authorize others to do any of these things. Persons or companies that duplicate or distribute a copyrighted work without authorization may be liable for copyright infringement. A company's copyright registrations help document its assets and demonstrate its value in seeking financing or negotiating a buy-out. Registration also is necessary in order for assignment, merger, or security interest documents to be recorded effectively by the Copyright Office. The copyright in a work must be registered before it is copied to be eligible for statutory damages and potential recovery of attorney's fees, both of which supply helpful leverage in settlement negotiations. In the case of a published work, there is a grace period of three months from the date of general disclosure, but there is no grace period for unpublished works. A Certificate of Copyright Registration must be issued within five years of first publication to provide the full evidentiary benefits of registration — reducing the copyright holder's burden of proof and therefore the costs of bringing suit. The U.S. Customs Service requires that a copyright be registered before it will assist the copyright owner in blocking counterfeit imports. Submission of works for registration also satisfies the requirement that copies of all works published in the United States be deposited with the Library of Congress. "Copyright © 2000 Carr & Ferrell LLP. All Rights Reserved." 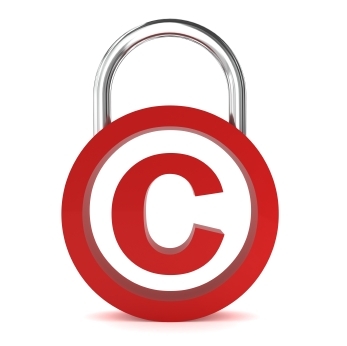 Ownership of a copyright initially vests in the author of the work. When the author is an employee acting within the scope of his or her employment, the copyright law provides that the author's employer shall be considered the author. This is known as the "work made for hire" doctrine. Because this doctrine is not universally applied outside of the United States, employers often enter into agreements with their employees to ensure that all copyrights are owned by the company. In some cases, copyrightable authorship created by consultants and independent contractors also may be deemed a work made for hire. (Generally speaking, contributions of consultants to computer software projects will not be considered a work made for hire.) The copyright law also provides that if two or more authors intend for their contributions to be merged into a single work, they each may be equal owners of the work and entitled to exploit it independently, subject only to an obligation to account to one another for royalties. To ensure that one owns the rights one needs to do business, it is wise to retain copyright-savvy counsel to review employment, consulting, and joint development agreements. This general information does not constitute legal advice, and is not intended to replace the counsel of a copyright attorney. Copyright is a complex field rich in technical rules and conflicting doctrines that often require subjective, fact-specific judgments. You should not rely on this information to make decisions critical to your business, as it may be incomplete or incorrect when applied to your particular circumstances.